I received an email yesterday, or I should say a challenge, and I love it. I realized, outside of my network the only thing our community really knows about me is what they see on my website and social media, and there’s something missing … the personal piece. I will copy the email below and answer the questions she presented, I may even go a little further. I was born in Twin Falls, Idaho in 1981 (that makes me 36) to my parents Michael and Christine who were almost 30 at the time. We bumped around quite a bit, we actually lived up on the bench here in Boise when I was two, went from living in houses we couldn’t afford to trailers that we could. My parents divorced when I was twelve and my dad took us to live back in my birthplace of Twin Falls. I spent a few years with him and my siblings before moving in with my mother in Encinitas, California during high school. My brother came with me, my sister stayed behind raising her first child at 17 years old. I graduated from San Dieguito High School Academy in 1999, and of course, I walked my proud steps to “1999” by Prince. My favorite part about high school was that I could play my guitar in the outdoor hallways and the Santa Ana winds that would bring the smell of the ocean through campus. To save you the boring details of moving around a bit I will flash forward to Boise State Campus in 2011. This was around the time when I was desperately adding 101 courses to my schedule, trying to learn who I wanted to become, to acquire and compose pieces of my future identity, and this is when I landed in Social Work 101. It was the Code of Ethics that exposed the very natural fit. It wasn’t a matter of learning about who I was going to be as a professional, it was more a matter of finding a course that fits my beliefs as a human being. I found my profession in Social Work. I couldn’t stop at my Bachelor’s degree, I wanted to learn more. After spending two semesters at the Women and Children’s Alliance offering case management and crisis services to victims of domestic violence and graduating in 2013 with my BSW, I went straight into the graduate program. I was fortunate enough to land a position as an intern at the Department of Veteran’s Affairs which I had to fight for (funny story for another time), two years later I was hired permanently- only a couple months after I graduated. I was the first person in my family to graduate from college, I was proud. That education, the diplomas on the wall, they were mine, and coming from a very poor background … they weren’t easy to come by. It was the systems work, in graduate school, that I fell in love with. We learned about how society plays a role in the issues that trickle down and disguise themselves as individual issues. That much like preventative medicine, we can change how and what we provide for our community members as a society resulting in changed statistics when it comes to homelessness, early pregnancy, and unemployment to name a few. Unfortunately, and they even told us this in school, you aren’t going to find too many of those macro-level positions in the social work field. They are out there, just hard to come by. After graduating I found the space to finally volunteer as often as I would like. My weeknights and weekends were finally mine! Rolling into the 2016 presidential elections I found my calling, at least for that summer. I spent around six months ensuring that we had people active in our community. Phone banks, voter education, debate and town hall watch parties, caucus turn-out, etc. It was AMAZING, and if felt so good to be active when we had so many terrible people running for president. It was devastating to watch the events unfold leading up to November. I attended both the state and national conventions as a delegate, but no matter how invested each of us were in that race election night hit many of us like a ton of bricks. I felt like a zombie the day after election, and looking back after all that has been undone by our President, my feelings were absolutely appropriate. During my recovery from the election, I joined a handful of grassroots organizations that originated as a result / response to the election, my favorite being a group called Idaho Organizing Project. We began as a safe space for people to share harassment they had witnessed or been victim to … but we were such a large group that naturally we transformed into an action group. We are the group that organized the Airport Protest in response to the Muslim ban. We also continually organize citizenship days. In the first 100 days after the election, we set up two citizenship days resulting in 100 individual that were eligible for citizenship apply for citizenship with financial assistance. Alongside the desire to be active amongst my fellow organizers and furthermore on a national level was this movement to get progressive individuals into office. I loved the concept and for me it was not a new issue. My problem with politics historically has been that the people in power are not representative of the people they serve. We have wealthy individuals making decisions that have terrible consequences for the underserved. I was asked to run for local office on a number of occasions but was limited by the Hatch Act, a rule put in place to keep partisan politicians from wearing more than one hat when working for the government. Then one day it was suggested I run for city council here in Boise. I did my research and found that I could work for the VA and run for city council because despite how it seems from the public’s perspective city council positions are non-partisan. 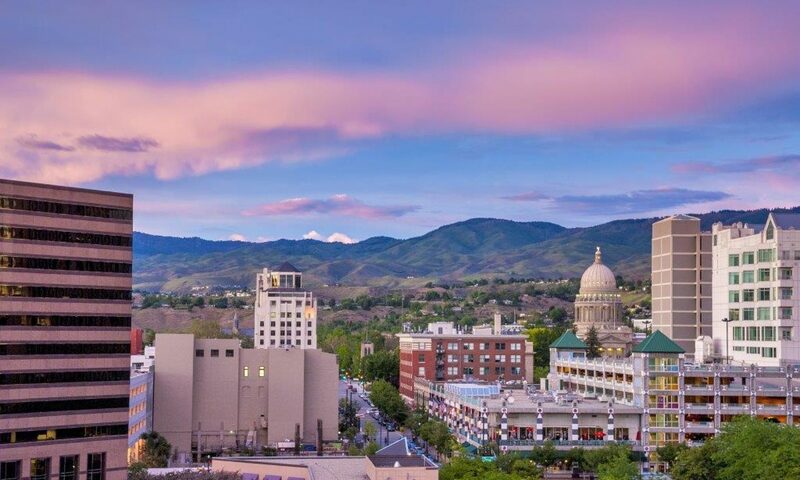 The role of city council members was the perfect fit for my background in systems work and my desire have better representation for our demographic here in Boise, I took the challenge! You can look back at my blogs to learn more about how THIS race has been but my hope is that you have a clearer picture of who I am as an individual and who I am at heart. One last thing that seems to be a tricky topic for most is my marital status, I will start by saying it’s not a tricky topic for me. We had a forum recently at the library, it was well attended and put on by the League of Women Voters. Before it started, the spouse of another candidate came up to me and asked me why I didn’t have spousal support at the forums. I forget sometimes living in my own little progressive bubble what society expects of me. I am not married, I look forward to being married if that is what’s in the cards but feel no pressure to make it a priority. I also don’t have children, I look forward to having children if that’s what’s in the cards but I am not consumed by the pressure to do so. Despite these two facts, I am happy, and I am healthy. So there are your juicy details. I am an open book, my co-worker says that part of me may not be good as a politician and to that I say – I am not a politician, I am an advocate!